Do the rooms have En-suite ? Will we have sea views ? YES, all rooms have either a side or full sea view. When booking this will be clearly stated in the room description. Is there public transport close by ? Do you cater for people with special dietary needs ? Do you allow Stags & Hens parties ? No, sorry we do not have a lift, if you have problems with stairs, please contact us direct on 01253 351599 to check availability of rooms on the 1st floor. Coming soon, we will be operating an "Honesty Bar" where guests can help themselves to a selection of chilled beers, ciders, lagers, soft drinks, wines, prosecco, & champagne, as well as a selection of chocolate snacks. The profits from this honesty bar go towards helping ALZHEIMER'S RESEARCH. Sorry but we no longer accept any pets into the hotel due to a number of incidents caused by irresponsible pet owners. 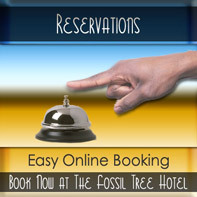 Check-in is from 3pm - 7pm. If you require a check -in outside of these times please contact us direct to confirm. Does the hotel provide local information? YES, within your room is a "Bedroom Browser" full of information not only regarding the hotel but also about all of the local attractions, contact details, transport system, the best local restaurants, pubs, show venues, events, and much more. 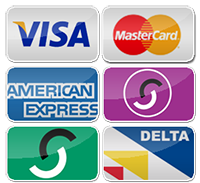 Yes, we accept all major cards including American Express. No, sorry we don't accept paypal at present.